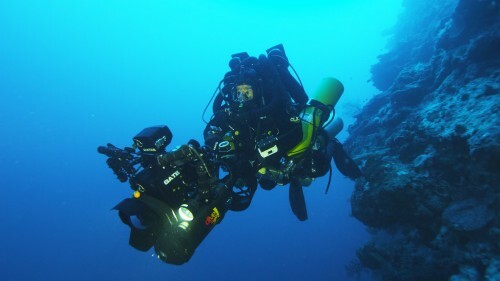 Ross filmed Lance Robb of Closed Circuit Divers successful dive to 156 metres (511 feet) at Osprey reef deep walls in the Coral Sea. 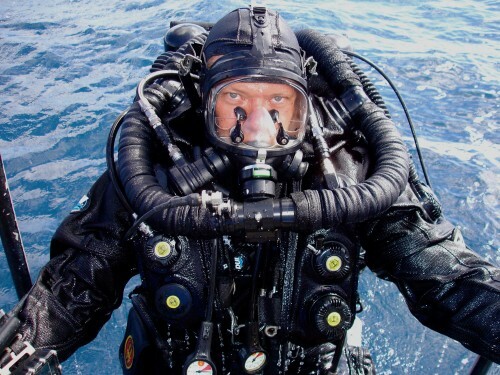 Both divers used ISC Megalodon closed circuit rebreathers although Ross stayed up around 60 metres and watched Lance disappear into the abyssal depths below. 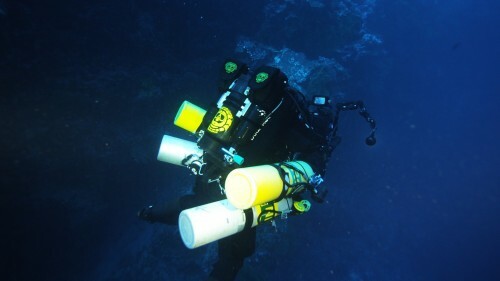 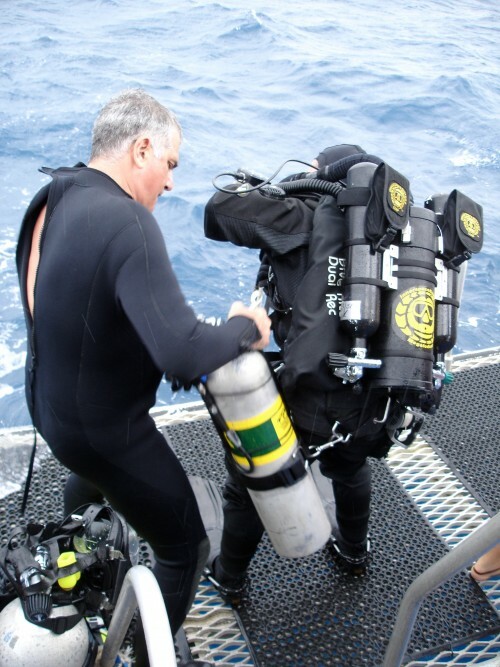 Lance Robb wearing his deep dive rebreather rig ready to ascend.